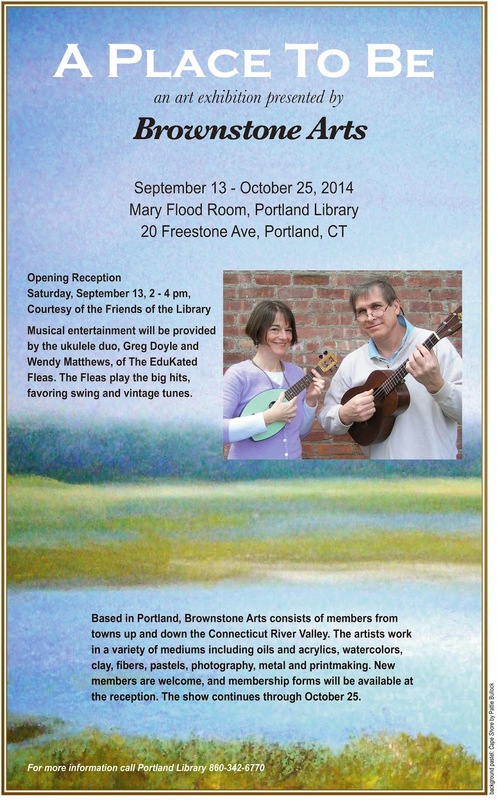 The Fleas will be providing music for the opening reception of Brownstone Arts new exhibition, "A Place to Be." Come enjoy the art and the music. Free! The show continues through October 25th. For more information, call Portland Library: 860-342-6770.